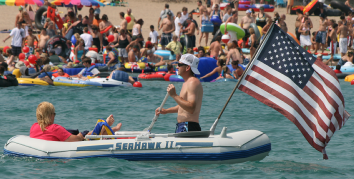 The new established tradition for the past Float Downs is that they are held on the THIRD SUNDAY in August, at around 1 p.m., at Lighthouse Beach in Port Huron, ending at Chrysler Beach in Marysville. One that will keep you dry and out of the water preferably, DON’T GO HUGE. That’s the East shore. Stay to the West. Will take 2-3 hours in good weather, 6 hours in other. PLAN ACCORDINGLY. Or anyone/thing else that cannot swim well. This includes pets. 7. LEAVE VALUABLES AT HOME! You’re only asking to lose them otherwise. 8. OBEY ALL LAWS. Do not exit on private property unless invited. Ahead of time! Have someone pick you up at the finish, or have a vehicle staged nearby. There is no official transportation. 10. YOU ARE 100% RESPONSIBLE FOR YOUR OWN SAFETY. There are no organizers or life guards. SWIM AT YOUR OWN RISK. My problem was in my head, not mechanical. So Cialis from cialnow.com gives me confidence. I do not know if we can cut it in half because it would save me money. In the box, there are only four tablets, such funny little pills. 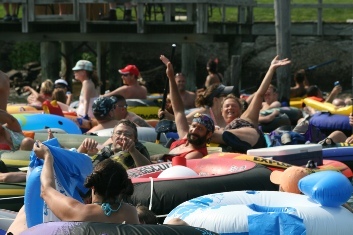 DISCLAIMER: www.porthuronfloatdown.com, it’s owners and affiliates, are in no way organizing, sponsoring, planning, or promoting a community event in any form. 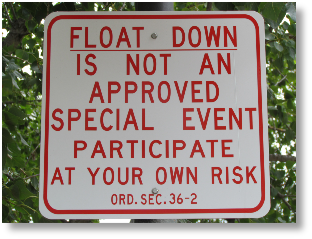 This site is maintained as a source of information and as a community service for any individuals who choose to float down any river at any time.